Bernhard Beibl is the best guitar student I never had. Sounds weird? I don’t blame you. When I returned to Austria after finishing my degree at GIT in Los Angeles a friend introduced me to Bernhard. He wanted to take some lessons from me but somehow our schedules always conflicted so it never worked out. We stayed in touch and became friends instead – and ended up working on various projects together. I have to confess that sometimes I’d like to tease him about how he could be a global guitar god by now. 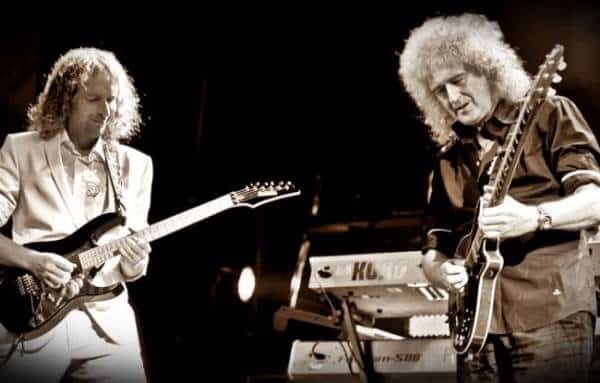 Instead he’s only the guitar player in the 7-time Grammy-nominated band Tangerine Dream and has performed with the likes of Brian May of legendary Queen. There’s only 1 reason why I don’t do this. The reason’s name is Martin Weninger. Can you see the groove? Years later Martin and I shared an appartement in Hollywood. Most of the time he was driving me nuts with his constant practice pad drumming. Those things are annoyingly loud. But it’s great to see/hear that all that practicing paid off. those guitar lessons transferred over to the drums. 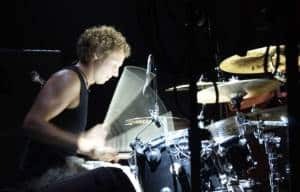 No wonder that Martin is one of the busiest, in-demand drummers thanks to his great chops and killer groove. But enough of the old stories, let’s move on to the music. In the opening track Solar Storm you get an interesting mixture of crunchy power chords, angular melodies, Mike Portnoy style grooves and propelling synth elements in Tangerine Dream fashion. Civil Disorder raises the tension by featuring dissonant 2nd intervals and using heavy, complex rhythm figures as backdrop for some serious shredding. War continues where Civil Disorder left off, and after these 2 high-intensity songs comes my personal favorite track of the whole project: The Escape. I love the groove and the atmospheric mood. 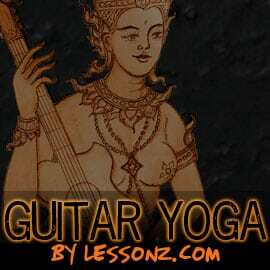 Listen to the great interaction between the various guitar textures and the supporting synth sounds, for instance when the acoustic guitar plays arpeggiated figures and the synth arpeggiator surrounds and embellishes them. The nylon guitar solo is extremely melodic and nicely follows the changes. The final track is called A New Planet and features a melancholic, yet hopeful piano figure with a beautiful guitar harmonics melody on top of it. Elements from previous tracks get re-introduced that tie everything together and make this EP a cohesive unit. Tons of chops, yet highly melodic. If you are a fan of progressive, high-quality guitar definitely check out this EP. There’s not a lot to critize. The only thing that I can find fault with is that in places you can strongly hear the musical influences. Granted, it’s extremely difficult NOT to sound like Dream Theater or similar Prog-Rock icons when playing in this style. Also, with the limited scope of an EP it’s actually harder to get a lot of variety in. If the songs are too different, you lose the focus and the cohesiveness. If the songs retain a similar style, you inevitably lose the variety as a result. 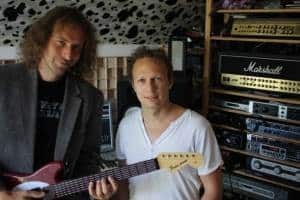 Hopefully Bernhard and Martin will continue their joint venture by producing a proper, full album that gives them more room to showcase their stylistic diversity. Disclosure: I don’t get any money or other kind of compensation for my endorsement. As you’ve read, I’m friends with Bernhard and Martin and I admit that I might be somewhat biased. In my opinion those 2 guys deserve a lot more attention and spotlight. But listen and decide for yourself. If you liked what you heard, buy the full EP. It’s only €5. You get a great Progressive-Rock album that you can listen to from your iPod, mp3 player, phone or computer. And you are supporting the 2 talented musicians behind this project. 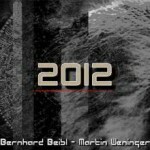 I want to interview Bernhard and Martin for a future article. How the album came about, the concept behind it, special production techniques used, etc… So, if you have any questions you’d like to have answered, let me know and I’ll ask them. Leave a comment or use the contact form.